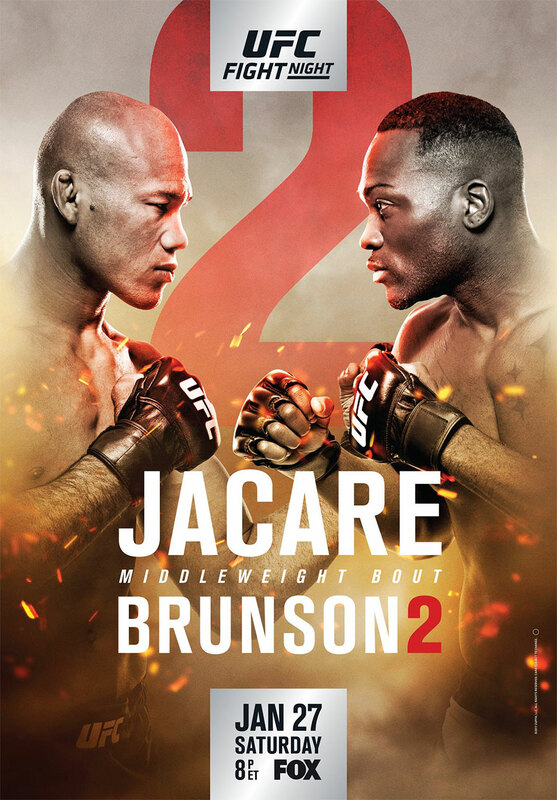 “UFC on FOX 27: Jacare vs. Brunson 2” takes place Saturday inside Spectrum Center in Charlotte, North Carolina. UFC Fight Pass streams the night’s first two preliminary bouts live starting at 4PM ET/1PM PT. Fox Sports 1 airs the remaining six prelims at 5PM ET/2PM PT. FOX broadcasts the main card beginning at 8PM ET/5PM PT. A middleweight rematch between Derek Brunson and Jacare Souza headlines the show. Dennis Bermudez and Andre Fili serve as the co-main event.